Former NTV General Manager Linus Kaikai has officially joined Royal Media Services (RMS) as the Director of Strategy and Innovation. 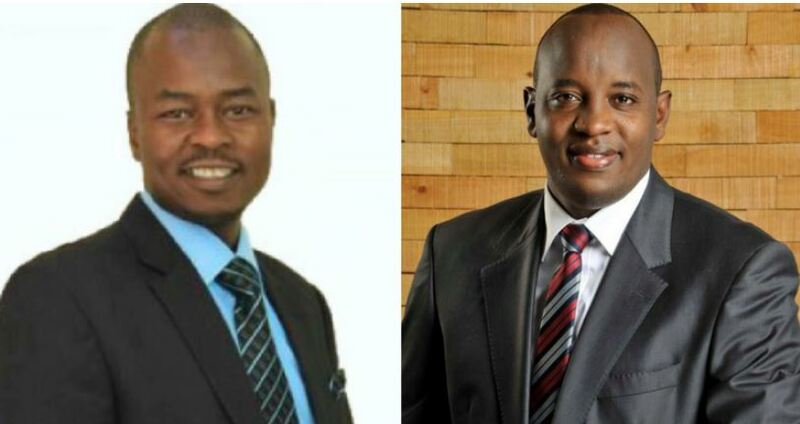 Kaikai is joined by Joe Ageyo, who resigned from KTN last week, in top-level changes announced by the media house. Joe Ageyo joins RMS as the Editorial Director. Royal Media Services has embarked on the top-level reorganization in a bid to strengthen the company’s strategic vision and direction. The changes were announced to the company by the Group Managing Director Mr. Wachira Waruru. 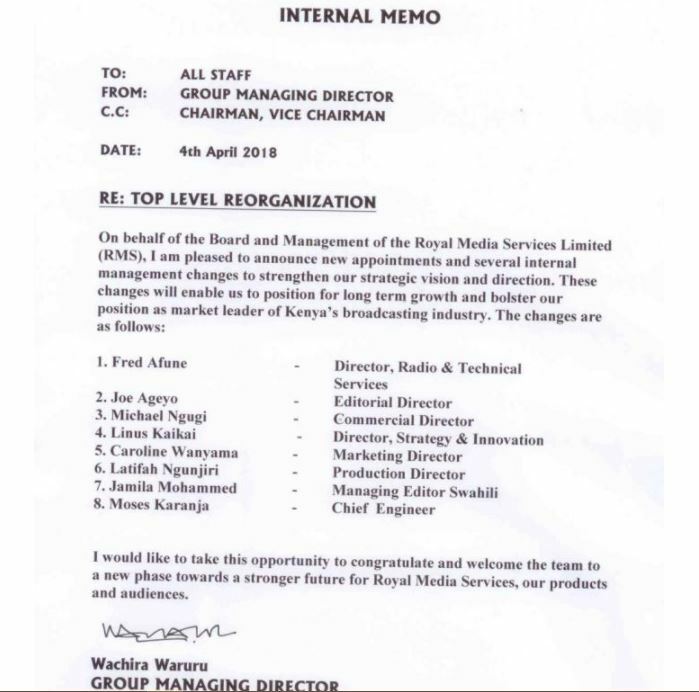 “On behalf of the Board and Management of the Royal Media Services Limited (RMS), I am pleased to announce new appointments and several internal management changes to strengthen our strategic vision and direction. The changes will enable us to position for long-term growth and bolster our position as market leader of Kenya’s broadcasting industry,” reads the statement.